The best way to get to know a community is by scheduling a tour. See the facilities, meet the staff and residents, and get a feel first hand what it's like to live at Meadowbrook Manor Independent Living. 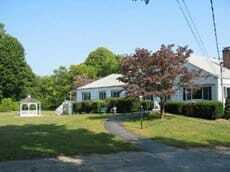 Located by the banks of the majestic Connecticut River, in the neighborhood of Centerbrook, Meadowbrook Manor offers compassionate assisted living. Administered by professional and caring staff, our residential care home provides a relaxed, warm and comforting place to live. We are located just a short distance from State Route 9, making trips to Hartford, the coast or nearby cities of New London and historic Old Saybrook. We provide a selection of private and semi-private studios. Each apartment has a private bathroom as well as window treatments and safety features. Our common areas include an enclosed sun porch, overlooking our grounds and plentiful indoor common rooms. Meadowbrook Manor prepares three nutritious home-cooked meals in our dining room each and every day. We aim to create a well-rounded mix of activities designed to engage both the body and mind. Our staff prepares on-site activities every day that include fitness routines, arts and crafts, outings and other social engagements. The basics of home maintenance, housekeeping services, laundry and linens are handled by our courteous staff. Utilities, with the exception of cable and telephone service, are also included in your monthly rate. Scheduled transportation is available to get you to doctor’s appointments or even local shopping trips throughout the week. At Meadowbrook Manor, we are focused on providing wellness solutions to our residents so they can thrive and live a full life throughout their retirement. We craft a care plan for each resident, and our caregivers are there to assist with activities of daily living such as mobility, grooming, bathing, and medication management. With 24-hour awake staff and an emergency response system we will be there to respond to any resident needs or concerns. We welcome you to join us for a visit at Meadowbrook Manor and see just how you or your loved one can benefit from our supportive care!